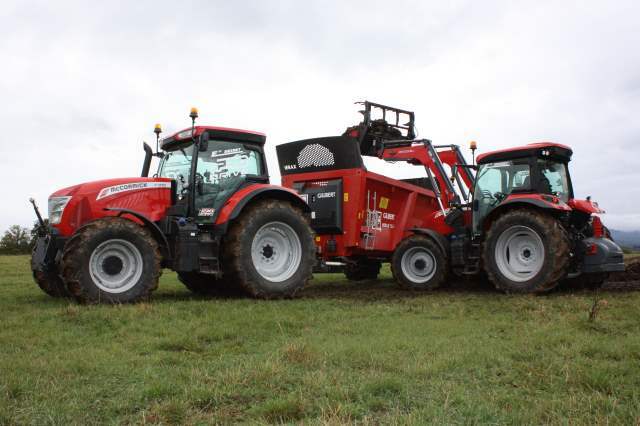 McCormick dealer HJR Agri expands area territory built on customer service. One of Britain’s leading McCormick dealerships – HJR Agri at Oswestry, Shropshire – has expanded into west Cheshire and north Staffordshire on the strength of its customer support and sales performance. 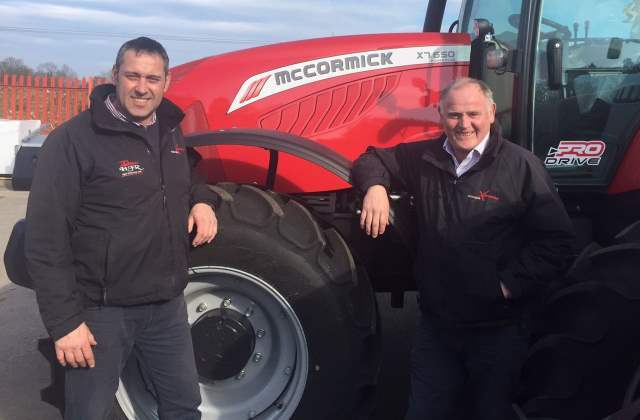 Phil Maw, area sales manager at McCormick distributor AgriArgo, said: “We’ve seen HJR Agri go from strength to strength as a McCormick dealer through their enthusiasm and focus on customer service, so we’re delighted to have reached an agreement that rewards the HJR team’s hard work with a bigger territory”. HJR Agri (Oswestry) Ltd took on McCormick for west Shropshire and mid-Wales a year after it was formed in 2008 by colleagues Terry Hughes, who leads the sales activities, his brother Alan Hughes and Melfyn Jones, who run the service side of the business, and Andy Roberts, whose domain is the parts operation and sundries showroom. In 2013, the company expanded into north Wales with McCormick, from just west of Chester to Conwy in a territory that borders the area covered by Anglesey-based PGF Agri. Now, the dealership’s McCormick territory extends further east to Crewe and Newcastle-under-Lyme, taking in west Cheshire, where it borders a territory looked after by Barlows Agri from a new base at Marton near Macclesfield, and north Staffordshire down to Market Drayton. 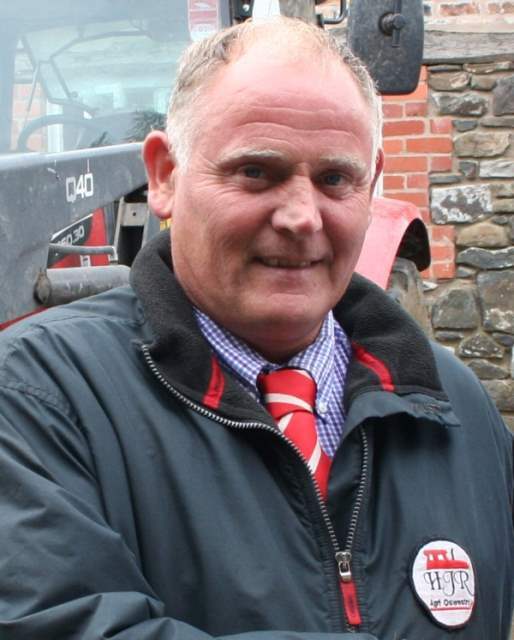 Rob, who lives in Ruthin, joined the business 12 months ago and has been visiting farms in the new area to introduce himself, the dealership and the McCormick range. “Becoming a machinery salesman has involved a very steep learning curve but having worked on farms and for a contractor I bring hands-on, practical experience that can be helpful to farmers unsure about the best tractor size and features for their needs,” he says. 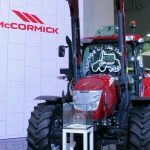 Over the past three years, a €75 million new product development programme has transformed the McCormick range from its ‘Doncaster’ origins into a broader and more modern line of tractors that stands comparison with any other make or brand. 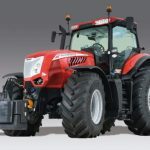 Covering every power segment from the new-look 44-54hp X2 Series compact tractor to the newly-unveiled X8 VT-Drive giant with more than 300hp, the McCormick range features everything from low-cost cubicle scraper tractors to heavy tillage machines. Open operator platforms to sophisticated cabs with touch-screen implement controls and satellite steering also feature, along with simple mechanical and advanced electronic controls, semi-powershift and new-tech CVT stepless transmissions. HJR’s northern salesman, Rob Owen (left), who has been introducing himself, the dealership and the McCormick range to farmers in the new area, with managing director Terry Hughes. The new 160hp McCormick X7.650 Pro Drive (left) and 121/133hp X6.430 in action.